I just finished attending the EVA London conference this week and did a demonstration of my Data Crystals project. This is the formal abstract for the demonstration and writing it helped clear up some of my ideas about the Data Crystals project and digital fabrication of physical sculptures and installations. Data has tangible consequences in the real world. Accordingly, physical data-visualizations have the potential to engage with the actual effects of the data itself. A data-generated sculpture or art installation is something that people can move around, though or inside of. They experience the dimensionality of data with their own natural perceptual mechanisms. However, creating physical data visualizations presents unique material challenges since these objects exist in stasis, rather than in a virtual space with a guided UX design. In this demonstration, I will present my recent research into producing sculptures from data using my custom software code that creates files for digital fabrication machines. 2. WHAT DOES DATA LOOK LIKE? The overarching question that guides my work is: what does data look like? Referencing architecture, my artwork such as Data Crystals (figure 2) executes codes that maps, stacks and assembles data “bricks” to form unique digital artifacts. The form of these objects are impossible to predict from the original data-mapping, and the clustering code will produce different variations each time it runs. Other sculptures remove material through intense kinetic energy. Bad Data (figure 3) and Strewn Fields (figure 1) both use the waterjet machine to gouge data into physical material using a high- pressure stream of water. The material in this case — aluminum honeycomb panels and stone slabs — reacts in adverse ways as it splinters and deforms due to the violence of the machine. Physical data-visualizations act on materials instead of pixels and so there is a dialogue between the data and its material expression. Data Crystals depict municipal data of San Francisco and have a otherworldly ghostly quality of stacked and intersecting cubes. The data gets served from a web portal and is situated in the urban architecture and so the 3D-printed bricks are an appropriate form of expression. Bad Data captures data that is “bad” in the shallow sense of the word, rendering datasets such as Internet Data Breaches, Worldwide UFO Sightings or Mass Shootings in the United States. The water from the machine gouges and ruptures aluminum honeycomb material in unpredictable ways, similar to the way data tears apart our social fabric. This material is emblematic of the modern era, as aluminum began to be mass-refined at the end of the 19th century. These datasets exemplify conflicts of our times such as science/heresy and digital security/infiltration. Once created, these sculptures cannot be endlessly altered like screen-based data visualizations. This challenges the artwork to work with fixed data or to consider the effect of capturing a specific moment. For example, Strewn Fields is a data-visualization of meteorite impact data. When a large asteroid enters the earths atmosphere, it does so at high velocity of approximately 30,000km/hour. Before impact, it breaks up into thousands of small fragments, which are meteorites. Usually they hit our planet in the ocean or at remote locations. The intense energy of the waterjet machine gouges the surface of each stone, mirroring the raw kinetic energy of a planetoid colliding with the surface of the Earth. The static etching captures the act of impact, and survives as an antithetical gesture to the event itself. The actual remnants and debris (the meteorites) have been collected, sold and scattered and what remains is just a dataset, which I have translated into a physical form. This sort of “data art” challenges the formal aspects of sculpture. Firstly, machine-generated artwork removes the artist’s hand from the work, building upon the legacy of algorithmic artwork by Sol Lewitt and others. Execution of this work is conducted by the stepper motor rather than by gestures of the artist. Secondly, the input source of data are unknowable forms until they are actually rendered. The patterns are neither mathematic nor random, giving a certain quality of perceptual coherence to the work. Data Crystals: Crime Incidents has 30,000 data points. Using code-based clustering algorithms, it creates forms only recently possible with the combination of digital fabrication and large amounts of data. My sculpture-generation tools are custom- developed in C++ using Open Frameworks, an open source toolkit. My code repositories are on GitHub: https://github.com/scottkildall. My own software bypasses any conventional modeling package. It can handle very complex geometry, and more importantly doesn’t have the “look” that a program such as Rhino/Grasshopper generates. My process of data-translation is optimized for specific machines. Data Crystals generate STL files which most 3D printers can read. My code generates PostScript (.ps) files for the waterjet machine. The conversation with the machine itself is direct. During the production and iteration process, once I define the workflow, the refinements proceed quickly. It is optimized, like the machine that creates the artwork. In my demonstration, I will use various open data from London. I focus not on data that I want to to acquire, but rather, data that I can acquire. I will demonstrate a custom build of Data Crystals which shows multiple layers of municipal data, and I will run clustering algorithms to create several Data Crystals for the City of London. This week, I opened a solo show called Machine Data Dreams, at Black & White Projects. This was the culmination of several months of work where I created three new series of works reflecting themes of data-mapping, machines and mortality. The opening reception is Saturday, November 5th from 7-9pm. Full info on the event is here. Two of the artworks are from my artist-in-residency with SETI and the third is a San Francisco Arts Commission Grant. All of the artwork uses custom algorithms to translate datasets into physical form, which is an ongoing exploration that I’ve been focusing on in the last few years. Each set of artwork deserves more detail but I’ll stick with a short summary of each. Fresh from the waterjet, Strewn Fields visualizes meteorite impact data at four different locations on Earth. As an artist-in-residence with SETI, I worked with planetary scientist, Peter Jenniskens to produce these four sculptural etchings into stone. When an asteroid enters the earths atmosphere, it does so at high velocity — approximately 30,000 km/hour. Before impact, it breaks into thousands of small fragments — meteorites which spread over areas as large as 30km. Usually the spatial debris fall into the ocean or hits at remote locations where scientists can’t collect the fragments. And, only recently have scientists been able to use GPS technology to geolocate hundreds of meteorites, which they also weigh as they gather them. The spread patterns of data are called “Strewn Fields”. Dr. Jenniskens is not only one of the world’s experts on meteorites but led the famous 2008 TC3 fragment recovery in Sudan of the Almahata Sitta impact. With four datasets that he both provided and helped me decipher, I used the high-pressure waterjet machine at Autodesk’s Pier 9 Creative Workshops, where I work as an affiliate artist and also on their shop staff, to create four different sculptures. The violence of the waterjet machine gouges the surface of each stone, mirroring the raw kinetic energy of a planetoid colliding with the surface of the Earth. My static etchings capture the act of impact, and survive as an antithetical gesture to the event itself. The actual remnants and debris — the meteorites themselves — have been collected, sold and scattered and what remains is just a dataset, which I have translated into a physical form. A related work, Machine Data Dreams are data-etchings memorials to the camcorder, a consumer device which birthed video art by making video production accessible to artists. This project was supported by an San Francisco Individual Arts Commission grant. I did the data-collection itself during an intense week-long residency at Signal Culture, which has many iconic and working camcorders from 1969 to the present. During the residency, I built a custom Arduino data-logger which captured the raw electronic video signals, bypassing any computer or digital-signal processing software. With custom software that I wrote, I transformed these into signals that I could then etch onto 2D surfaces. I paired each etching with its source video in the show itself. Celebrity Asteroid Journeys is the last of the three artworks and is also a project of from the SETI Artist in Residency program, though is definitively more light-hearted than the Strewn Fields. Celebrity Asteroid Journeys charts imaginary travels from one asteroid to another. There are about 700,000 known asteroids, with charted orbits. A small number of these have been named after celebrities. Working with asteroid orbital data from JPL and estimated spaceship velocities, I charted 5 journeys between different sets of asteroids. My software code ran calculations over 2 centuries (2100 – 2300) to figure out the the best path between four celebrities. I then transposed the 3D data into 2D space to make silkscreens with the dates of each stop. This was my first silkscreened artwork, which was a messy antidote to the precise cutting of the machine tools at Autodesk. All of these artworks depict the ephemeral nature of the physical body in one form or another. Machine Data Dreams is a clear memorial itself, a physical artifact of the cameras that once were cutting-edge technology. With Celebrity Asteroid Journeys, the timescale is unreachable. None of us will ever visit these asteroids. And the named asteroids are memorials themselves to celebrities (stars) that are now dead or soon, in the relative sense of the word, will be no longer with us. Finally, Strewn Fields captures a the potential for an apocalyptic event from above. Although these asteroids are merely minor impacts, it is nevertheless the reality that an extinction-level event could wipe out human species with a large rock from space. This ominous threat of death reminds us that our own species is just a blip in Earth’s history of life. Earlier this year, I received an Individual Artist Commission grant from the San Francisco Arts Commission for a new project called Machine Data Dreams. I was notified months ago, but the project was on the back-burner until now — where I’m beginning some initial research and experiments at a residency called Signal Culture. I expect full immersion in the fall. Machine Data Dreams will be a large-scale sculptural installation that maps the emerging sentience of machines (laptops, phones, appliances) into physical form. Using the language of machines — software program code — as linguistic data points, Scott Kildall will write custom algorithms that translate how computers perceive the world into physical representations that humans can experience. The project’s narrative proposition is that machines are currently prosthetic extensions of ourselves, and in the future, they will transcend into something sentient. Computer chips not only run our laptops and phones, but increasingly our automobiles, our houses, our appliances and more. They are ubiquitous and yet, often silent. The key to understanding their perspective of the world is to envision how machines view the world, in an act of synthetic synesthesia. Scott will write software code that will perform linguistic analysis on machine syntax from embedded systems — human-programmable machines that range from complex, general purpose devices (laptops and phones) to specific-use machines (refrigerators, elevators, etc) . Scott’s code will generate virtual 3D geometric monumental sculptures. 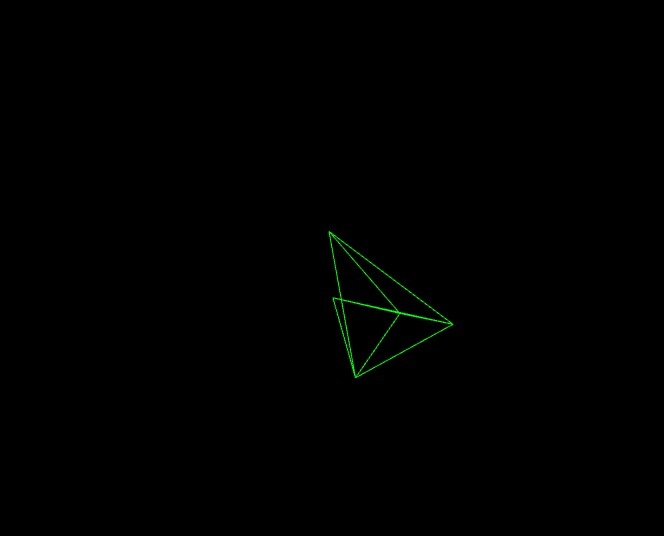 More complex structures will reflect the higher-level machines and simpler structures will be generated from lower-level devices. We are intrigued by the experimental nature of what the form will take — this is something that he will not be able to plan. Machine Data Dreams will utilize 3D printing and laser-cutting techniques, which are digital fabrication techniques that are changing how sculpture can be created — entirely from software algorithms. Simple and hidden electronics will control LED lights to imbue a sense of consciousness to the artwork. Plastic joints will be connected via aluminum dowels to form an armature of irregular polygons. The exterior panels will be clad by a semi-translucent acrylic, which will be adhered magnetically to the large-sized structures. Various installations can easily be disassembled and reassembled. The project will build on my experiments with the Polycon Construction Kit by Michael Ang, where I’m doing some source-code collaboration. This will heat up the fall. At Signal Culture, I have 1 week of residency time. It’s short and sweet. I get to play with devices such as the Wobbulator, originally built by Nam June Paik and video engineer Shuya Abe. The folks at Signal Culture built their own from the original designs. What am I doing here, with analog synths and other devices? Well, I’m working with a home-built Arduino data logger that captures raw analog video signals (I will later modify it for audio). I’ve optimized the code to capture about 3600 signals/second. The idea is to get a raw data feed of what a machine might be “saying”, or the electronic signature of a machine. Does it work? Well, I hooked it up to a Commodore Amiga (yes, they have one). It is definitely capturing something. Its early research. The forms are flat 3D cube-plots. But also very promising. What was this graphic representation of data that struck me at first and has stuck with be ever since. I could only imagine what this could be. This concept of physicalizing virtual data later led to my Data Crystals project. Thank you, Mr. Gibson. In Neuromancer, the protagonist Case is a freelance “hacker”. The book was published well-before Anonymous, back in the days when KILOBAUD was the equivalent of Spectre for the BBS world. At the time, I thought that there would be no way that corporations would put their data in a central place that anyone with a computer and a dial-up connection (and, later T1, DSL, etc) could access. This would be incredibly stupid. And then, the Internet happened, albeit more slowly than people remember. Now hacking and data breaches are commonplace. My “Bad Data” series — waterjet etchings of ‘bad’ datasets onto aluminum honeycomb panels — capture two aspects of internet hacking: Internet data breaches and Blacklisted IPs. In these examples, ‘bad’ has a two-layered meaning. The abrogations of accepted treatises of Internet behavior is widely considered a legal, though always not a moral crime. The data is also ‘bad’ in the sense that it is incomplete. Data breaches are usually not advertised by the entities that get breached. That would be poor publicity. For the Bad Data series, I worked with no necessarily the data wanted, but rather the data that I could get. From Information Is Beautiful, I found this dataset of Internet data breaches. What did I discover? …that Washington DC is the leader of breached information. I suspect it’s mostly because the U.S. government is the biggest target rather than lax government security. The runner-up is New York City, the center of American finance. Other notable cities are San Francisco, Tehran and Seoul. San Francisco makes sense — the city is home to many internet companies. And Tehran, which is the target of Western internet attacks, government or otherwise. But Seoul? They claim to be targeted by North Korea. However, as we have found out, with the Sony Pictures Entertainment Hack, North Korea is an easy scapegoat. Conversely, there are many lists of banned IPs. 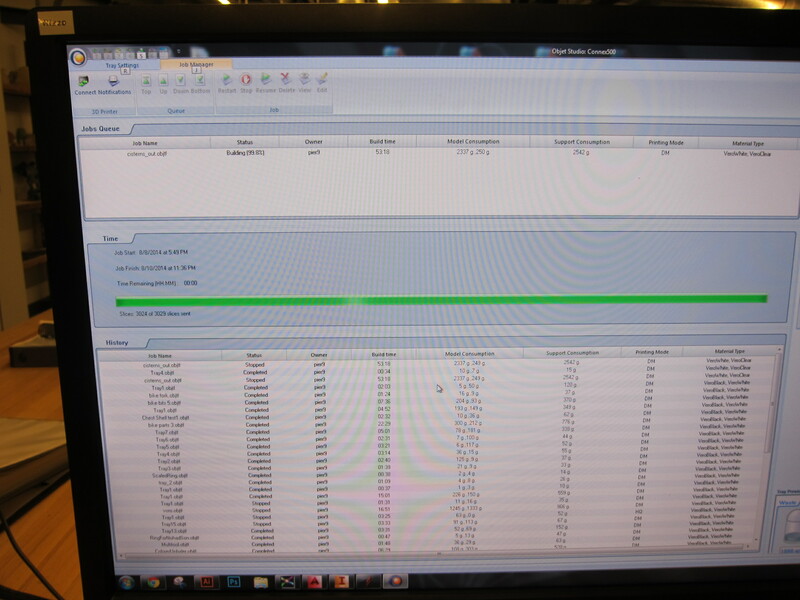 The one I worked with is the Suricata SSL Blacklist. This may not be the best source, as there are thousands of IP Blacklists, but it is one that is publicly available and reasonably complete. As I’ve learned, you have to work with the data you can get, not necessarily the data you want. I ran these two etched panels both through an anodization process, which further created a filmy residue on the surface. I’m especially pleased with how the Banned IPs panel came out. Water Works is a project that I created for the Creative Code Fellowship in the Summer of 2014 with the combined support of Stamen Design, Autodesk and Gray Area. Water Works is a 3D data visualization and mapping of the water infrastructure of San Francisco. The project is a relational investigation: I have been playing the role of a “Water Detective, Data Miner” and sifting through the web for water data. My results of from this 3-month investigation are three large-scale 3D-printed sculptures, each paired with an interactive web map. Stamen Design is a small design studio that creates sophisticated mapping and data-visualization projects for the web. Combined with the amazing physical fabrication space at Pier 9 at Autodesk, this was a perfect combination of collaborative players for my own focus: writing algorithms that transform datasets into 3D sculptures and installations. I split my time between the two organizations and both were amazing, creative environments. This report is heavy on images, partially because I want to document the entire process of how I created these 3D mapping-visualizations. As far as I know, I’m the first person who has undertaken this creative process: from mining city data to 3D-printing the infrastructure, which is geo-located on a physical map. My directive from the start of the Water Works project was to somehow make visible what is invisible. This simple message is one that I learned while I was working as a New Media Exhibit Developer at the Exploratorium (2012-2013). It also aligns with the work that Stamen Design creates and so I was pleased to be working with this organization. Underneath our feet is an urban circulatory system that delivers water to our households, removes it from our toilets, delivers a reliable supply firefighting and ultimately purifies it and directs it into the bay and ocean. Most of us don’t think about this amazing system because we don’t have to — it simply works. Like many others, I’m concerned about the California drought, which many climatologists think will persist for the next decade. I am also a committed urban-dweller and want to see the city I live in improve its infrastructure as it serves an expanding population. Finally, I undertook this project in order to celebrate infrastructure and to help make others aware of the benefits of city government. On more personal note, I am fascinated by urban architecture. As I walk through the city, I constantly notice the makings on manholes, the various sign posts and different types of fire hydrants. About a year ago, I had several in-depth conversations with employees at the Department of Public Works about the possibility of mapping the sewer system when I was working at the Exploratorium. We discussed possibilities of producing a sewer map for museum. For various reasons, the maps never came to fruition, but the data still rattled around my brain. All of the pipe and manhole data still existed. It was waiting to be mapped. When I was awarded this Creative Code Fellowship in June this year, I very much about the San Francisco water system. I soon learned that the city has three separate sets of pipes that comprise the water infrastructure of San Francisco. (1) Potable Water System — this is our drinking water, comes from Hetch Hetchy. Some fire hydrants uses this. (2) Sewer System — San Francisco has a combined stormwater and wastewater system, which is nearly entirely gravity-fed. The water gets treated at one of the wastewater treatment plants. San Francisco is the only coastal California city with a combined system. (3) Auxiliary Water Supply System (AWSS) — this is a separate system just for emergency fire-fighting. It was built in the years immediately following the 1906 Earthquake, where many of the water mains collapsed and most of the city proper was destroyed by fires. It is fed from the Twin Peaks Reservoir. San Francisco is the only city in the US that has such as system. From my previous work on Data Crystals, I learned that you have to work with the data you can actually get, not the data you want. In the first month of the Water Works project, this involved constant research and culling. I worked with various tables of sewer data that the DPW provided to me. I discovered that the city had about 30,000 nodes (underground chambers with manholes) with 30,000 connections (pipes). This was an incredible dataset and it needed a lot of pruning, cleaning and other work, which I soon discovered was a daunting task. Lesson #1: Contrary to popular belief, data is never clean. What else was available? It was hard to say at first. I sent emails to the SFPUC asking for their the locations of the drinking water data — just like what I had for the sewer data. I thought this would be incredible to represent. I approached the project with a certain naivety. Of course, I shouldn’t have been surprised about that this would be a security concern, but in no uncertain terms I received a resounding no from the SFPUC. This made sense, but it left me with only one dataset. Given that there were three water systems, it would make sense to create three 3D-printed visualizations, once from each set. If not the pipes, what would I use? In one of my late-night evenings research, I found a good story: the San Francisco Underground Cisterns. According to various blogs, there are about 170 of these, and are usually marked by a brick circle. What is underneath? 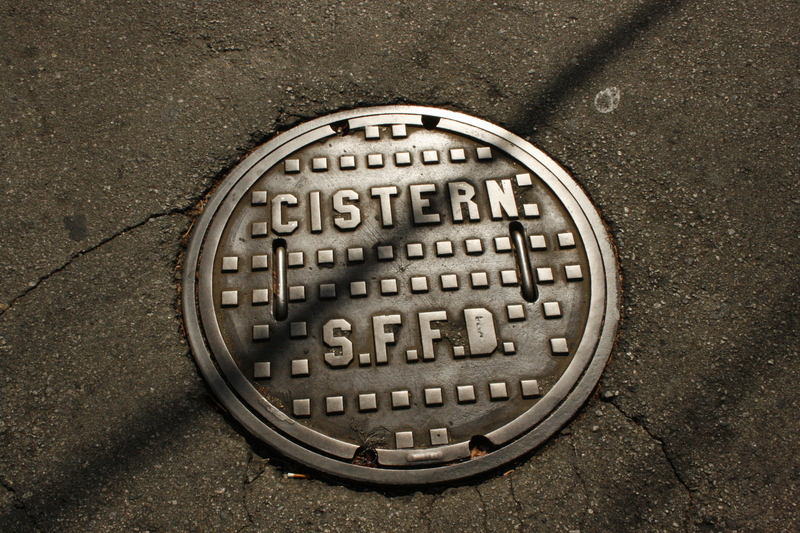 In the 1850s, after a series of Great Fires in San Francisco tore through the city, 23 cisterns* were built. These smaller cisterns were all in the city proper, at that time between Telegraph Hill and Rincon Hill. They weren’t connected to any other pipes and the fire department intended to use them in case the water mains were broken, as a backup water supply. They languished for decades. Many people thought they should be removed, especially after incidents like the 1868 Cistern Gas Explosion. However, after the 1906 Earthquake, fires once again decimated the city. Many water mains broke and the neglected cisterns helped save portions of the city. Afterward, the city passed a $5,200,000 bond and begin building the AWSS in 1908. This included the construction of many new cisterns and the rehabilitation of other, neglected ones. Most of the new cisterns could hold 75,000 gallons of water. The largest one is underneath the Civic Center and has a capacity of 243,000 gallons. The original ones, presumably rebuilt, hold much less, anywhere from 15,000 to 50,000 gallons. * from the various reports I’ve read, this number varies. I searched for a map of all the cisterns, which was to be difficult to find. There was no online map anywhere. I read that since these were part of the AWSS, that they were refilled by the fire department. I soon begin searching for fire department data and found this set of intersections, along with the volume of each cistern. The source was the SFFD Water Supplies Manual. 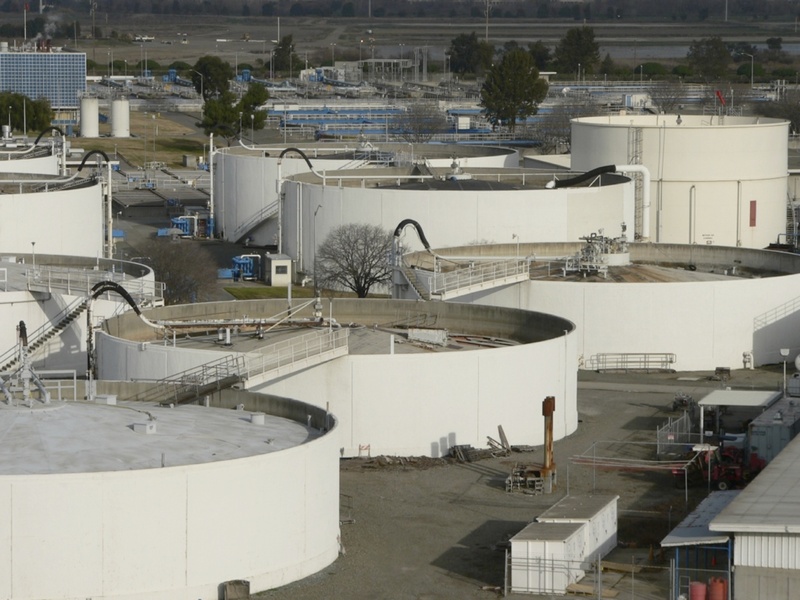 The story of the San Francisco Cisterns was to be my first of three stories in this project. 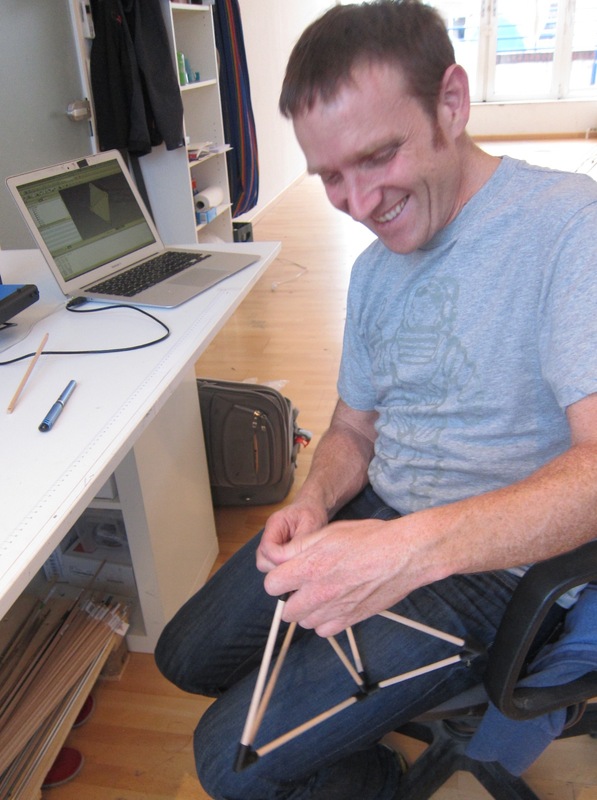 Autodesk also runs Instructables, a DIY, how-to-make-things website. One of the Instructables details the mapping process, so if you want details, have a look at this Instructable. What I did to make this conversion happen was to write code in Python which called Google Maps API to convert the intersections into lat/longs as well as get elevation data. When I had asked people how to do this, I received many GitHub links. Most of them were buggy or poorly documented. I ended up writing mine from scratch. Lesson #2: Because GitHub is both a backup system for source code and open source sharing project, many GitHub projects are confusing or useless. 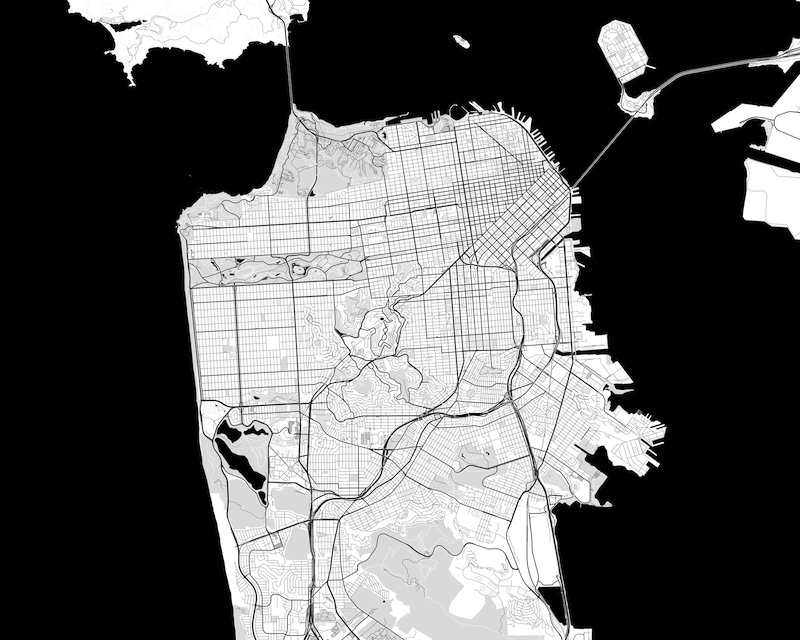 The being said, here is my GitHub repo: SF Geocoder, which does this conversion. Caveat Emptor. This was my second “story” with the Water Works project, which is simply to somehow represent the complex system that is underneath us. The details of the sewers are staggering. With approximately 30,000 manholes and 30,000 pipes that connect them, how do you represent or even begin mapping this? And what was the story after all — it doesn’t quite have the uniqueness character of the cisterns. But, it does portray a complex system. Even the DPW hadn’t mapped this out in 3D space. I don’t know if any city ever has. This was the compelling aspect: making the physical model itself from the large dataset. In addition to looking for data and sifting through the sewer data that I hand, I spent the first few weeks building up a codebase in OpenFrameworks. The only other possibility was using Rhino + Grasshopper, which is a software package I don’t know and not even an Autodesk product. Though it can handle algorithmic model-building, several colleagues were dubious that it could handle my large, custom dataset. So, I built my own. After several days of work, I mapped out the nodes and pipes as you see below. I represented the nodes as cubes and pipes as cylinders — at least for the onscreen data visualization. This is a closeup of the San Francisco bay waterfront. You can see some isolated nodes and pipes — not connected to the network. This is one example of where the data wasn’t clean. Since this is engineering data, there are all sorts of anomalies like virtual nodes, run-offs and more. My code was fast and efficient since it was in C++. More importantly, I wrote custom STL exporters which empowered my workflow to go directly to a 3D printer without having to go through other 3D packages to clean up the data. This took a lot of time, but once I got it working, it saved me hours of frustration later in the project. I also mapped out the Cisterns in 3D space using the same code. 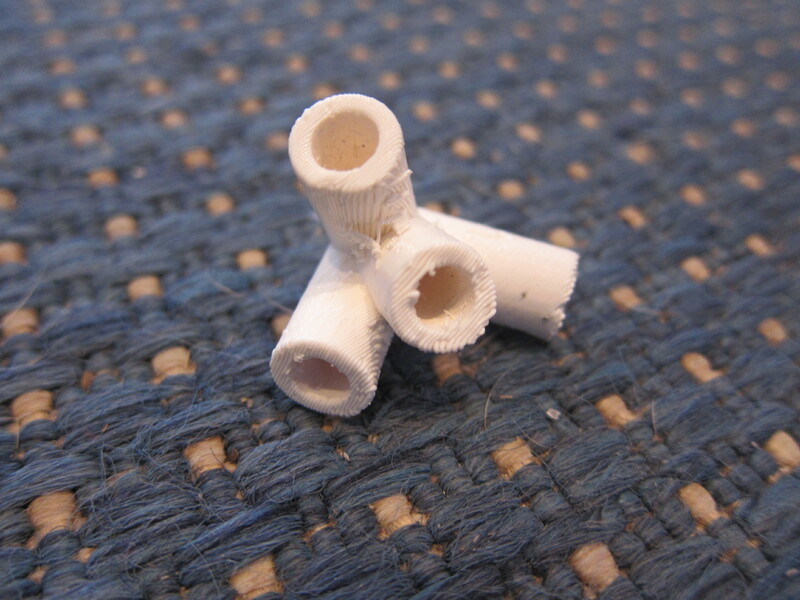 The Cisterns are disconnected in reality but as a 3D print, they need to one cohesive structure. I modified the ofxDelaunay add-on (thanks GitHub) to create cylindrical supports that link the cisterns together. What you see here is an “editor”, where I could change the thickness of the supports, remove unnecessary ones and edit the individual cisterns models to put holes in certain ones. I also scaled the Cisterns according to their volume. The pre-1906 ones tend to be small, while the largest one, at Civic Center is about 243,000 gallons, which over 3 times the size of the standard post-earthquake 75,000 gallon cisterns. In the same document that had the locations of all of the San Francisco Cisterns, I also found this gem: 67 emergency drinking hydrants for public use in a city-wide disaster. I dug deeper and scouted out the intersections in person. I took some photos of the Emergency Drinking Hydrants. They have blue drops painted on them. You can even see them on Street View. I found online news articles from several years ago, which discussed this program, introduced in 2006, also known as the Blue Drop Hydrant program. I then published a link to the map onto my Twitter feed. It generated a lot of excitement and was retweeted by many sources. 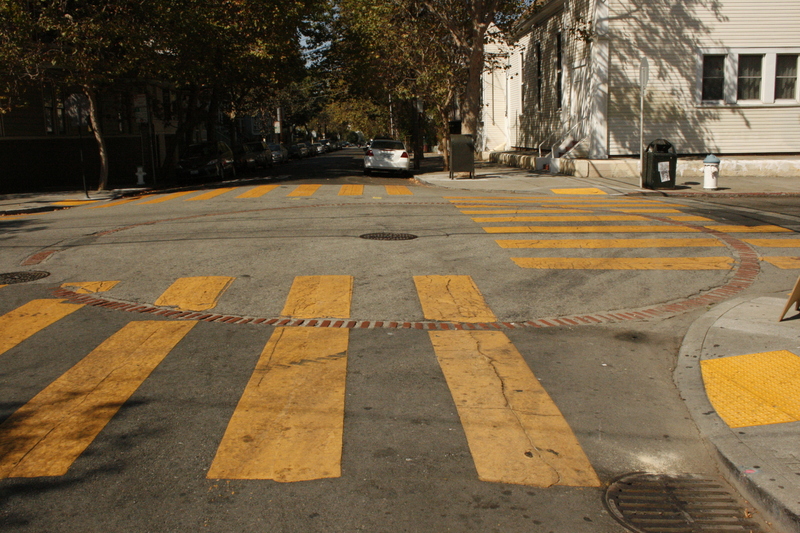 The SFist — a local San Francisco news blog ended up covering it. I was excited. I thought I was doing a good public service. However, there was a backlash…of sorts. It turns out that the program was discontinued by the SFPUC. The organization did some quick publicity-control on their Facebook page and also contacted the SFist. The writer of the article then issued a statement that this program was discontinued and a press statement by the SFPUC. In my defense, I re-researched the emergency drinking hydrants. Nowhere did it say that the program was discontinued. So, apparently the SFPUC quietly shuffled it out. But later, I found that my map birthed a larger discussion. The SFPUC had this response, also printed later on SFist. “When it comes to sheltering after a emergency, we don’t tell people ahead of time, ‘This is where you’ll need to go to find shelter after an earthquake’ because there’s no way to know if that shelter will still be there. This makes sense that central gathering locations could be a bad idea. Imagine a gas leak or something similar at one of these locations. So a water distribution plan would have to be improvised according the the desasters. We do know from various news articles and by my own photographs that there was not only a map, but physical blue drops painted on the hydrants in addition to a large publicity campaign. The program supposedly costs 1 million dollars, so that would have been an expensive map. They SFPUC never pulled the old maps from their website nor did they inform the public that the blue drop hydrants were discontinued. I blame it on general human miscommunication. And after visiting the SFPUC offices towards the end of my Water Works project, I’m entirely convinced that this is a progressive organization with smart people. They’re doing solid work. But I had to rethink my mapping project, since these hydrants no longer existed. When faced with adverse circumstances, at least in the area of mapping and art, you must be flexible. There’s always a solution. This one almost rhymes with Emergency — Imaginary. Instead of hydrants for emergency drinking water, I ask the question: could we have a city where we could get tap water from these hydrants at any time? 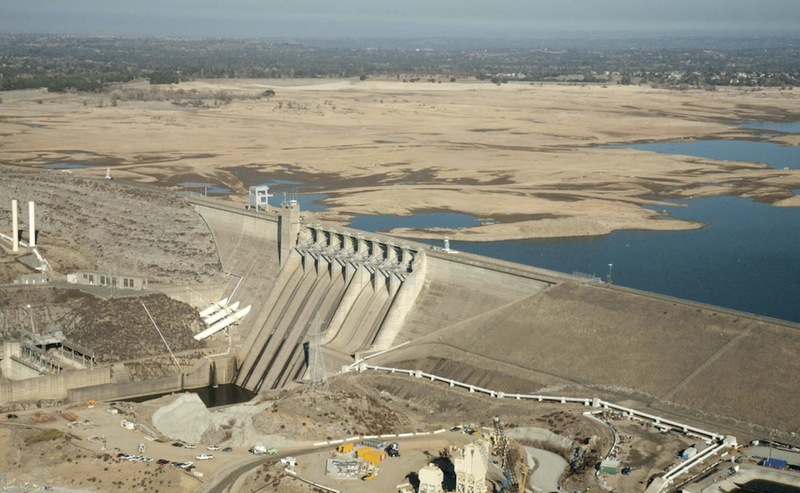 What if the water were recycled water? They could have a faucet handle on them, so you could fill up your bottle when you get thirsty. More importantly, these hydrants could be a public service. It’s probably impractical in the short term, but I love the idea of reusing the water lines for drinking lines — and having free drinking water in the public commons. So, I rebranded this map and designed this hydrants with a drinking faucet attached to it. This would be the base form used for the maps. I wanted to strike a balance with this data-visualization and mapping project between aesthetics and legibility.With the data sets I now had and the C++ code that I wrote, I could geolocate cisterns, hydrants and sewer lines. These would be connected by support structures in the case of cisterns and hydrants and pipe data for the sewers. I decided that the actual data points would be miniature models, which I designed in Fusion 360 with the help of Autodesk guru, Taylor Stein. The first one I created was the Cistern model. I went through several iterations to come up with this simple model. The design challenge was to come up with a form that looked like it could be an underground tank, but not bring up other associations. In this case, without the three rectangular stubby pieces, it looks like a tortilla holder. After a day of design and 3D print tests, I settled on this one. And here you can see the outputs of the cisterns and the hydrants in MeshLab. Here is the underside of the hydrant structure, where you can see the holes in the hydrants, which I use later for creating the final sculpture. These are drill holes for mounting the final prints on wood. The manhole chamber design was the hardest one to figure out. This one is more iconographic than representational. Without some sort of symmetry, the look of the underground chamber didn’t resonate. I also wanted to provide a manhole cover on top of the structure. The flat bottom distinguishes it from the pipes. 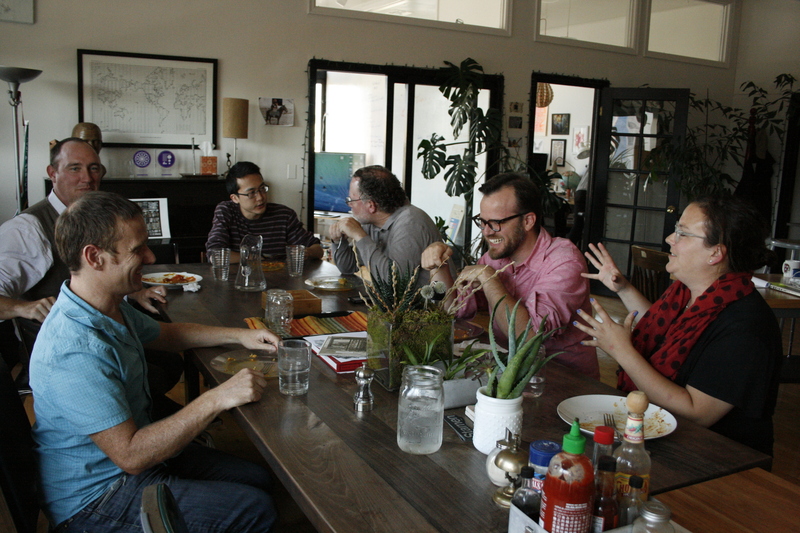 One of my favorite aspects about being at Stamen is that four days a week, they provided lunch for us. We all ate lunch together. This was a good chunk of unstructured time to talk about mapping, music, personal life, whatever. We solidified bonds — so often shared lunch is overlooked in organizations. In addition to informal discussion on the project, we also had a few creative brainstorm sessions, where I would present the progress of the project and get feedback from several people at both Stamen. Folks from Autodesk and Gray Area also joined the discussion. I hadn’t considered the idea of situating these on a map before, but they suggested integrating a map of some sort. Quickly, the idea was birthed that I should geolocate these on top of a map. This was a brilliant direction for the project. Stamen provided be with a high-resolution map that I could laser etch, which came later, after the 3D printing. Now, with this direction for the project, I started making the actual 3D prints. After all the mapping, arduous data-smoothing, tests upon structural tests, I was finally ready to spool off the large-scale 3D prints. Each print was approximately the size of the Object 500 print bed: 20″ x 16″, making these huge. A big thanks to Autodesk for sponsoring the work and providing the machines. Each print took between 40 and 50 hours of machine time, so I sent these out as weekend-long jobs. Time and resources were limited, so this was a huge endeavor. I was worried that the print would fail, but I got lucky in each case. The prints are a combine resin material: VeroClear and VeroWhite (for the Cisterns and Hydrants) and mixes of VeroWhite and VeroBlack for the Sewers. When the prints come off the print bed, they are encased in a support material which I first scraped off and then used a high-pressure water system to spray the rest off. It took hours upon hours to get from this. To this: a fully cleaned version of the Sewer print. This 3D print is of a section of the city: the Embarcadero area, which includes the Pier 9 facility where Autodesk is located. For the Sewer Works print, the manhole chambers and pipes are scaled to the size in the data tables. I increased the elevation about 3 time to capture the hilly terrain of San Francisco. What you see here is an aerial view as if you were in a helicopter flying from Oakland to San Francisco. The diagonal is Market Street, ending at the Ferry Building. On the right side, towards the back of the print is Telegraph Hill. There are large pipes and chambers along the Embarcadero. Smaller ones comprise the sewer system in the hilly areas. I’ll just summarize the final fabrication — this blog post is already very long. For a more details, you can read this Instructable on how I did the fabrication work. Using a cherry wood, which I planed and jointed and glued together, I laser-etched these maps, which came out beautifully. I chose wood both because of the beautiful finish, but also because the material of wood references the wood Victorian and Edwardian houses that define the landscape of San Francisco. 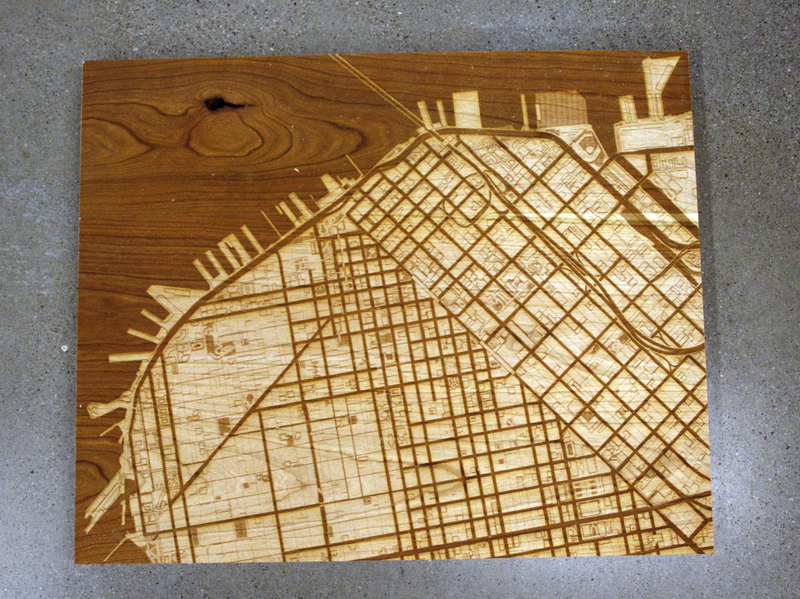 The laser-etching burns away the wood, like the fires after the 1906 Earthquake, which spawned the AWSS water system. The map above is the waterfront area for the Sewer Works print and the one below is the full map of the city that I used as the base for the San Francisco Cisterns and the Imaginary Drinking Hydrants sculptures. The last stages of the woodwork involved traditional fabrication, which I did at the Autodesk facilities at Pier 9. I drilled out the holes for mounting the final 3D prints on the wood bases and then mounted them on 1/16″ stainless rods, such that they float about 1/2″ above the wood map. And the final stage involved manually fitting the prints onto the rods. Here are the three prints, mounted on the wood-etched maps. Below is the Imaginary Drinking Hydrants. This was the most delicate of the 3D prints. The aforementioned Instuctable: Mapping San Francisco Cisterns details how I made these. The summary is that I did a lot of data-wrangling, often using Python to transform the data into a GeoJSON files, a web-mappable format. Fortunately, I also received help from the designers at Stamen on the graphics. I only have so many skills and graphic design is not one of them. The performance on Leaflet bogged down when I had more than about 1500 markers in Leaflet and the sewer system has about 28,000. I spent a lot of energy with node-trimming using a combination of Python and Java code and winnowed the count down to about 1500. The consolidated node list was based on distance and used various techniques to map the a small set of nodes in a cohesive way. In the hours just before presenting the project, I finished Life of Poo: an interactive journey of toilet waste. On the website, you can enter an address (in San Francisco) such as “Twin Peaks, SF” or “47th & Judah, SF” and the Life of Poo and then press Flush Toilet. This will begin an animated poo journey down the sewer map and to the wastewater treatment plant. Not all of the flushes works as you’d expect. There’s still glitches and bugs in the code. If you type in “16th & Mission”, the poo just sits there. Why do I have the bugs? I have some ideas (see below) but I really like the chaotic results so will keep it for now. Lesson 3: Sometimes you should sacrifice accuracy. I worked very, very hard on this project and I’m going to let it rest for awhile. There’s still some work to do in the future, which I would like to do some day. I’d like to improve the Cistern Map as I think it has cultural value. As far as I know, it’s the only one on the web. The data is from the intersections and while close, is not entirely correct. Sometimes the intersection data is off by a block or so. I don’t think this affects the integrity of the 3D map, but would be important to correct for the web portion. I want to see how this interactive map plays out and see how people respond to it in the next couple of months. The animated poo is universally funny but it doesn’t behave “properly”. Sometimes it get stuck. This was the last part of the Water Works project and one that I got working the night before the presentation. I had to do a lot of node-trimming to make this work — Leaflet can only handle about 1500 data points before it slows down too much, so I did a lot of trimming from a set of abut 28,000. This could be one source of the inaccuracies. I don’t take into account gravity in the flow calculations, so this is why I think the poo has odd behavior. But maybe the map is more interesting this way. It is, after all, an animated poo emoji. This is where the project gets very interesting. What I’ve been able to accomplish with the “Sewer Works” print is to show how the sewer pipes of San Francisco look as a physical manifestation. This is only the beginning of many possibilities. I’d be eager to develop this technology and modeling system further. And take the usual GIS maps and translate them into physical models. This week I traveled to Berlin for Polycon. No…it’s not a convention on polyamory, but a porject developed by my longtime friend, Michael Ang (aka Mang). Polygon Construction Kit (aka Polycon) is a software toolkit for converting 3D polygon models into physical objects. I wanted an excuse to visit Berlin, to hang out with Mang and to open up some possibilities for physical data-visualization behind EquityBot, which I’m working at for the artist-in-residency at Impakt Works and their upcoming festival. 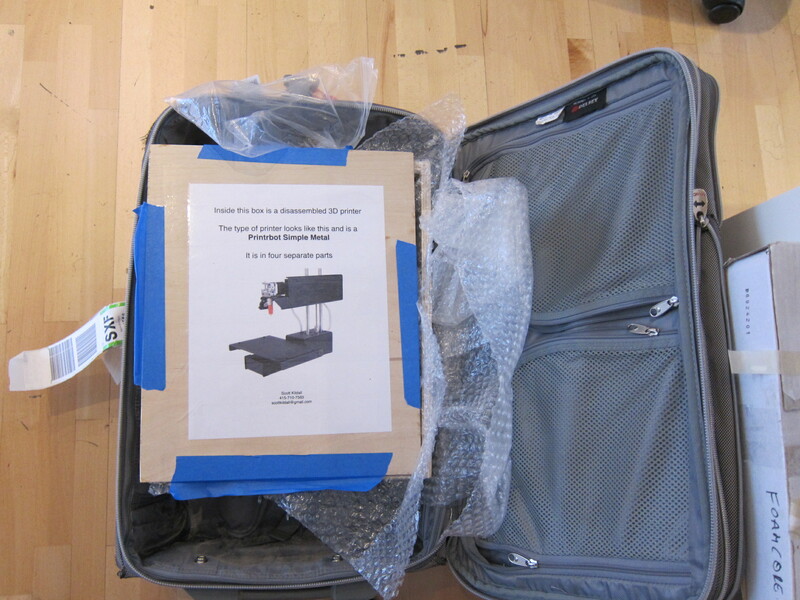 I brought my recently-purchased Printrbot Simple Metal, which I had disassembled into this travel box. After less than 30 minutes, I had it reassembled and working. Victory! 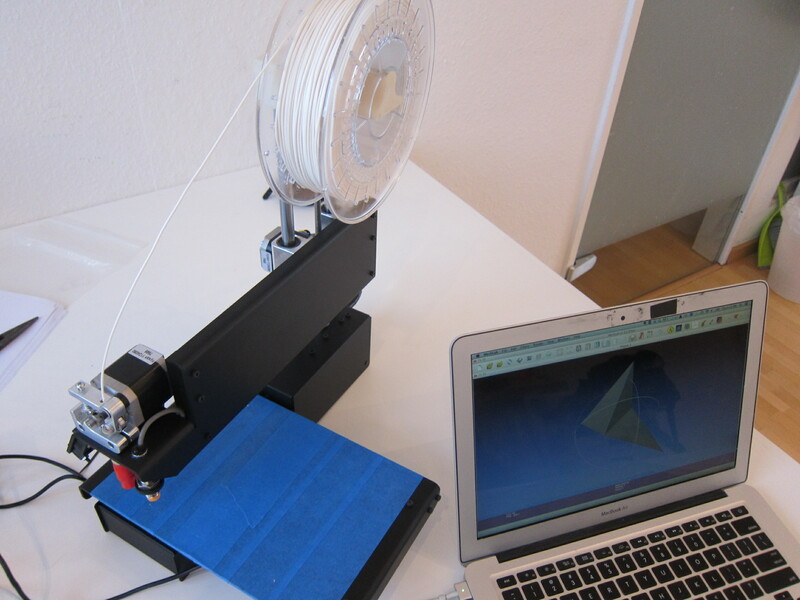 Here it is, printing one of the polygon connectors. How does Polycon work? Mang shared with me the details. You start with a simply 3D model from some sort of program. He uses SketchUp for creating physical models of his large-scale sculptures. I prefer OpenFrameworks, which is powerful and will let me easily manipulate shapes from data streams. 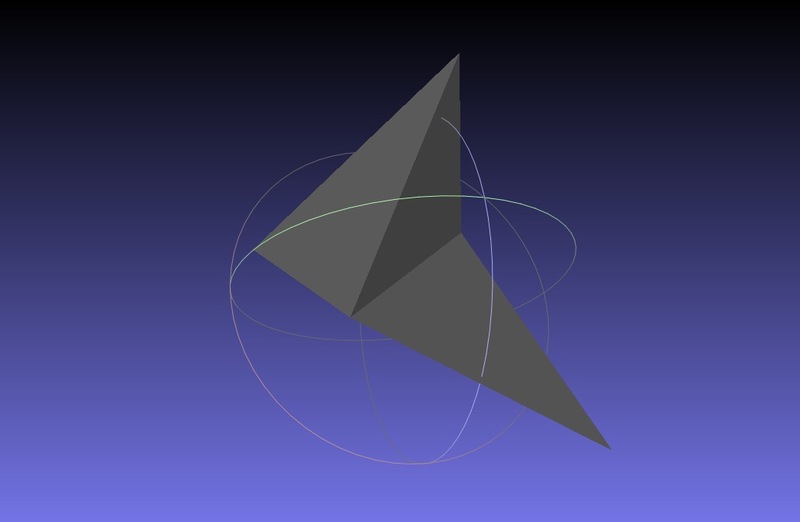 Here’s the simple screenshot in OpenFrameworks of two polyhedrons. I just wrote this the other day, so there’s no UI for it yet. And here is how it looks in MeshLab. It’s water-tight, meaning that it can be 3D-printed. My goal is to do larger-scale data visualizations than some of my previous works such as Data Crystals and Water Works. I imagine room-sized installations. I’ve had this idea for many months of using the 3D printer to create joinery from datasets and to skin the faces using various techniques, TBD. 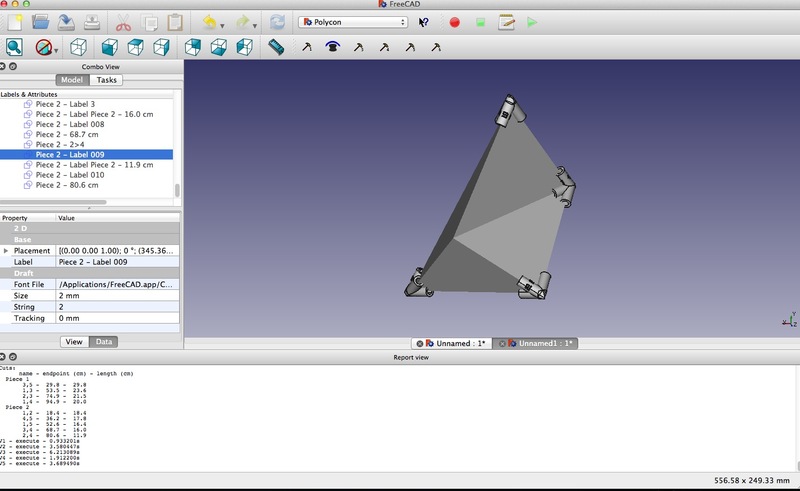 How it works: Polycon loads a 3D model and using Python scripts in FreeCAD will generate 3D joints that along with wooden dowels can be assembled into polygonal structures. The Printrbot makes adequate joinery, but it’s nowhere near as pretty as the Vero prints on the Object 500 at Autodesk. It doesn’t matter that much because my digital joinery will be hidden in the final structures. Mang guided be through the construction of my first Polycon structure. There’s a lot of cleanup work involved such as drilling out the holes in each of the joints. It took awhile to assemble the basic form. There are vertex-numbering improvements that we’ll both make to the software. Together, Mang and I brainstormed ideas as to how to make the assembly go more quickly. After about 15 minutes, I got my first polygon assembled. It looks a lot like…the 3D model. I plan to be working on these forms in the next several months and so felt great after a successful first day. And here is a really nice image of one of Mang’s pieces — these are sculptures of mountains that he created. The backstory is that he made these from memories while flying high in a glider and they represent mountains. I like where he’s going with his artwork: making models based on nature, with ideas of recording these spaces and playing them back in various urban spaces. You can check out Michael Ang’s work here on his website. My exciting news is that this fall I will be an artist-in-residence at Impakt Works, which is in Utrecht, the Netherlands. The same organization puts on the Impakt Festival every year, which is a media arts festival that has been happening since 1988. My residency is from Sept 15-Nov 15 and coincides with the festival at the end of October. Utrecht is a 30 minute train ride from Amsterdam and 45 minutes from Rotterdam and by all accounts is a small, beautiful canal city with medieval origins and also hosts the largest university in the Netherlands. Of course, I’m thrilled. This is my first European art residency and I’ll have a chance to reconnect with some friends who live in the region as well as make many new connections. The project I’ll be working on is called EquityBot and will premiere at the Impakt Festival in late October as part of their online component. It will have a virtual presence like my Playing Duchamp artwork (a Turbulence commission) and my more recent project, Bot Collective, produced while an artist-in-residence at Autodesk. Like many of my projects this year, this will involve heavy coding, data-visualization and a sculptural component. At this point, I’m in the research and pre-production phase. While configuring back-end server code, I’m also gathering reading materials about capital and algorithms for the upcoming plane rides, train rides and rainy Netherland evenings. EquityBot is a stock-trading algorithm that explores the connections between collective emotions on social media and financial speculation. Using custom algorithms Equitybot correlates group sentiments expressed on Twitter with fluctuations in related stocks, distilling trends in worldwide moods into financial predictions which it then issues through its own Twitter feed. By re-inserting its results into the same social media system it draws upon, Equitybot elaborates on the ways in which digital networks can enchain complex systems of affect and decision making to produce unpredictable and volatile feedback loops between human and non-human actors. Currently, autonomous trading algorithms comprise the large majority of stock trades.These analytic engines are normally sequestered by private investment companies operating with billions of dollars. EquityBot reworks this system, imagining what it might be like it this technological attention was directed towards the public good instead. How would the transparent, public sharing of powerful financial tools affect the way the stock market works for the average investor? I’m imagining a digital fabrication portion of EquityBot, which will be the more experimental part of the project and will involve 3D-printed joinery. I’ll be collaborating with my longtime friend and colleague, Michael Ang on the technology — he’s already been developing a related polygon construction kit — as well as doing some idea-generation together. “Mang” lives in Berlin, which is a relatively short train ride, so I’m planning to make a trip where we can work together in person and get inspired by some of the German architecture. My new 3D printer — a Printrbot Simple Metal — will accompany me to Europe. This small, relatively portable machine produces decent quality results, at least for 3D joints, which will be hidden anyways. Along with 3 other new media artists and creative coding experts, I was recently selected to be a Creative Code Fellow for 2014 — a project pioneered by Gray Area (formerly referred to as GAFFTA and now in a new location in the Mission District). Each of us is paired with a partnering studio, which provides a space and creative direction for our proposed project. The studio that I’m pleased to be working with is Stamen Design, a leader in the field of aesthetics, mapping and data-visualization. I’ll be also continuing my residency work at Autodesk at Pier 9, which will be providing support for this project as well. My proposed project is called “Water Works” — a 3D-printed data visualization of San Francisco’s water system infrastructure, along with some sort of web component. My proposed project “Water Works” is a 3D data visualization of the complex network of pipes, aqueducts and cisterns that control the flow of water into our homes and out of our toilets. What lies beneath our feet is a unique combined wastewater system — where stormwater mixes with sewer lines and travels to a waste treatment plant, using gravitational energy from the San Francisco hills. This dynamic flow is the circulatory system of the organism that is San Francisco. As we are impacted by climate change, which escalates drought and severe rainstorms, combined with population growth, how we obtain our water and dispose of it is critical to the lifeblood of this city. Partnering with Autodesk, which will provide materials and shop support, I will write code, which will generate 3D prints from municipal GIS data. I imagine ghost-like underground 3D landscapes with thousands of threads of water — essentially flow data — interconnected to larger cisterns and aqueducts. The highly retinal work will invite viewers to explore the infrastructure the city provides. The end result might be panels that snap together on a tabletop for viewers to circumnavigate and explore. The GIS data is available, though not online, from San Francisco and already I’ve obtained cooperation from SFDPW about providing some infrastructure data necessary to realize this project. While my focus will be on the physical portion of this project, I will also build an interactive web-based version from the 3D data, making this a hybrid screen-physical project. The fellowship would give me the funding, visibility and opportunity of working under the umbrage of two progressive organizations: Gray Area and Stamen Design. I would expand my knowledge, serve the community and increase my artistic potential by working with members of these two groups, both of which have a progressive vision for art and design in my longtime home of San Francisco. Specifically, I wish to further integrate 3D printing into the data visualization conversation. With the expertise of Stamen, I hope to evolve my visualization work at Autodesk. The 3D-printing technology makes possible what has hitherto been impossible to create and has enormous possibilities to materialize the imaginary. I have deep experience in producing both screen-based and physical data visualizations. While at the Exploratorium, I worked on many such exhibits for a general audience. One example is a touch-screen exhibit called “Seasons of Plankton”, which shows how plankton species in the Bay change over the year, reflecting a diverse ecosystem of microscopic organisms. I collaborated with scientists and visitor evaluators to determine the optimal way to tell this story. I performed all of the coding work and media production for this successful piece. While at Autodesk, my focus has been creating 3D data visualizations with my custom code that transforms public data sets into “Data Crystals” (these are the submitted images). This exploration favors aesthetics over legibility. I hope to build upon this work and create physical forms, which help people see the dynamics of a complex urban water system to invite curiosity through beauty. I’ve been working on a Digital Fabrication Technique for building precise 3D-faceted forms. I ended up making an armature, which is close to a good solution, but still has too much play in the joints. One of the other resident artists at Autodesk, suggested a solution where I make wooden squares to solidify the joints in the armature. I cut out a variety of squares, each with a slightly different width+height, to account for the kerf of the laser-cutter. I also laser-etched them with their measurements. You can see here where I cut out a groove in the bottom of the armature, 1/8″ deep. The square fits nicely in there. I found that 25/1000″ seems to be the right amount of compensation. I also added squares for the top joints. Using the brad nailer, I adhered the bottom squares to the armature. Then the top squares and then the bottom panel of the structure. I built up the structure quickly. The precision of the armature made it easy to align the wood-paneled faces. This is what it looks like before I put the last panel on. And done! No glue or anything. Easy assembly. It looks just like the model! After the “Digital Fabrication Fail” based on my self-defined Fabrication Challenge, I’ve gotten closer to a more precise solution. After an evening of frustration, while riding my bike home, I realized that an armature for the 3D sculptures would be the solution. This is a bit tedious design-wise since I’d have to custom-design the armature for every 3D form. However, it would work — I remembered the Gift Horse Project and the armature that we built for this. I designed a quick-and-dirty armature in Sketchup (I know, I know…) and exported the faces to Illustrator with an SVG exporter. I then laser-cut the armature pieces and put them together. I made a few mistakes at first, but after a few tries got these three pieces to easily fit together. However, even with accounting for the kerf, there is still a lot of play in the structure. You can’t see it in the images, but I can easily wiggle the pieces back and forth. If I model the tolerances too tightly, then I can’t slide the inner portions of the armature together. It is certainly an improvement, but I’m looking for something that has more precision and is still easy to assemble. I’m working on some simple tests or my Faceted Forms Fabrication Challenge . I started with this model, which has 10 faces and is relatively simple. Then, I laser-cut these pieces from a 1/8″ sheet of wood. And, I also cut out these joints. Then, using the brad nail gun and glue, I began with the base and built up the structure using the joints for support. The first level, with the rectangular base went well. However, when I started assembling the trapezoid sections, I quickly ran into problems. The nail gun pushed the joint blocks away from the wood, and it was difficult to align the joint pieces correctly. I had to redo sections over again. Although this photo doesn’t entirely capture the first-try-failure, you can see the nail holes everywhere and also the gap between the joints. I threw in the towel pretty quickly and went home to sleep on the project, and hopefully, will come up with a better solution. Every cutting tool has a kerf — the amount of material that the tool itself removes in the cutting process. With a table saw, it tends to be large, like 1/8″. The laser-cutter has a small — but significant kerf. I cut a 1/4″ notch and then used the calipers to determine that I have a 2/100″ kerf when cutting 3/8″ material at 8/100/500 (speed/power/frequency). I then cut a 1/4″ groove and several notched cutouts, increasing the amount of material by incremental values. At 4/100″, (double the .02 measurement), the fit is perfect. 3/100″ is a little loose and 5/100″ won’t fit. I’m glad I was a high-school mathlete. I just got trained on how to use the water jet tool at Autodesk and made this piece of bling as my sample project. The design came from my Grantbot project. Anyone have some gold spray paint?